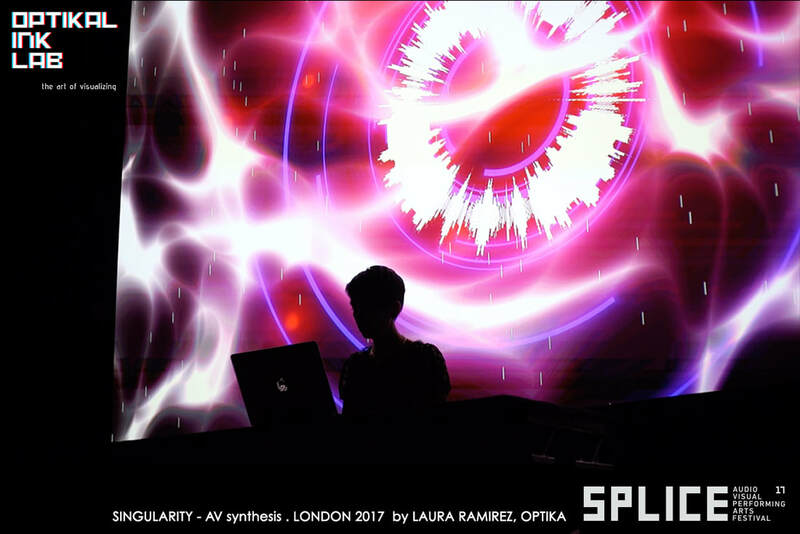 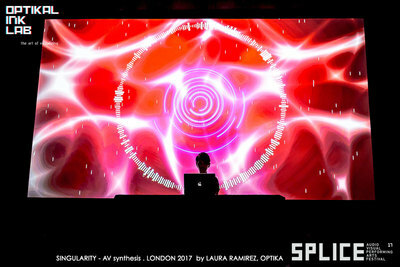 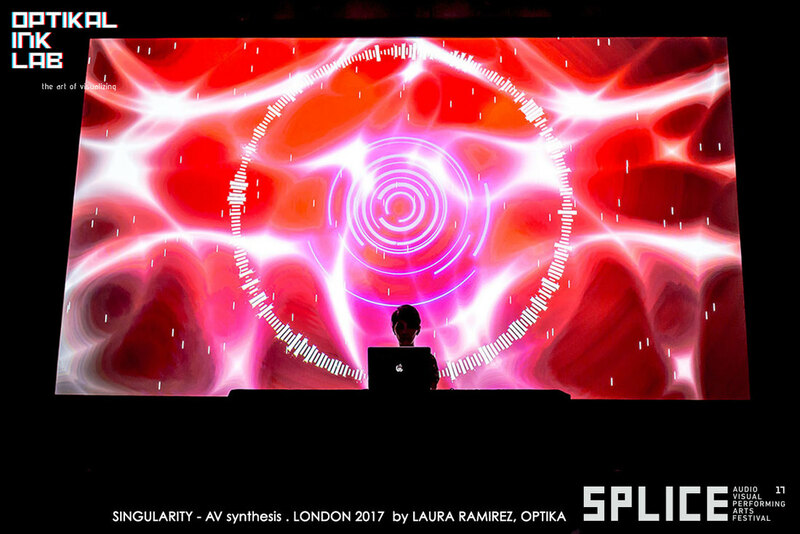 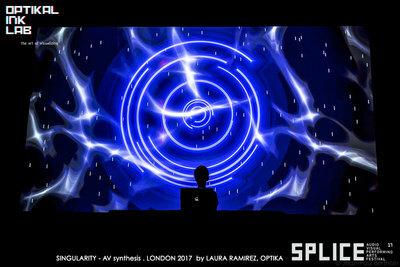 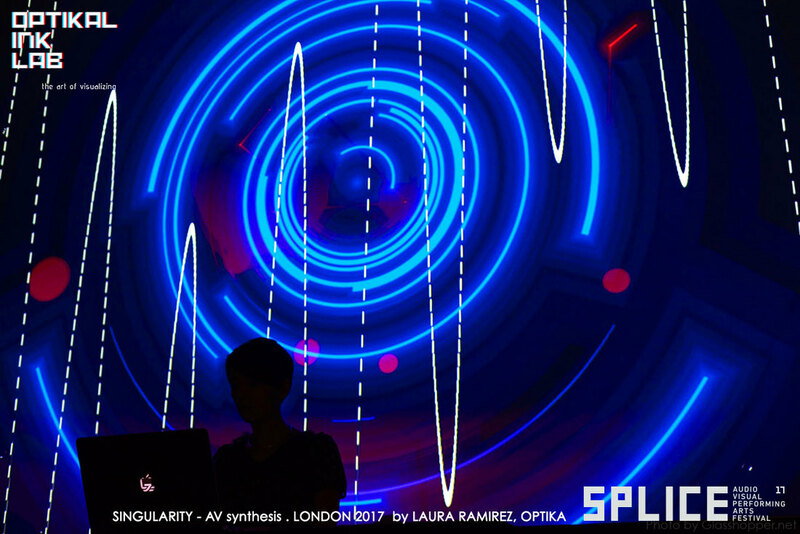 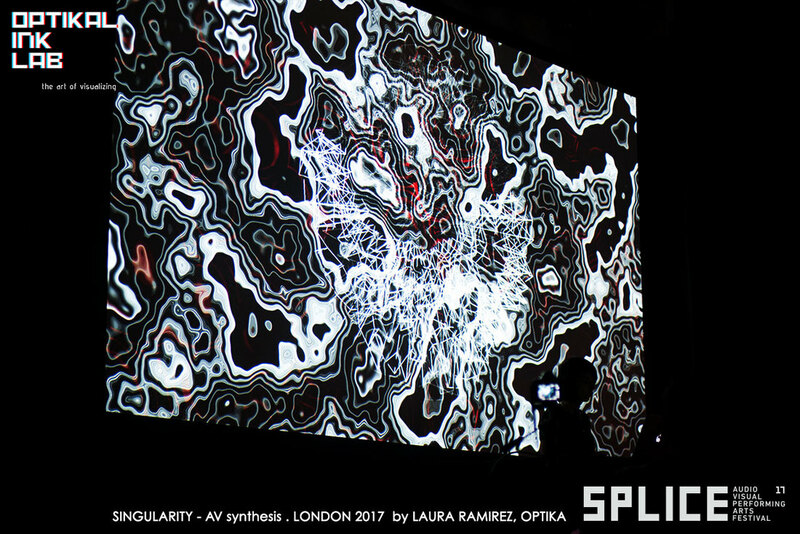 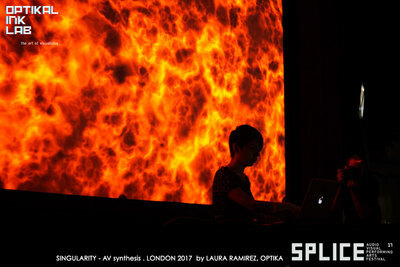 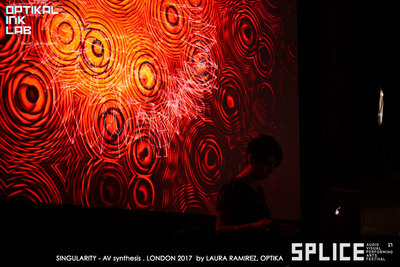 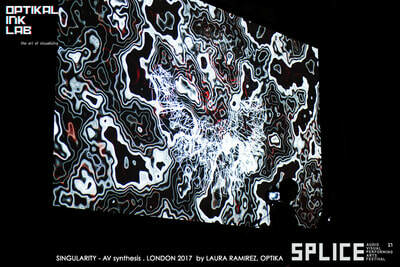 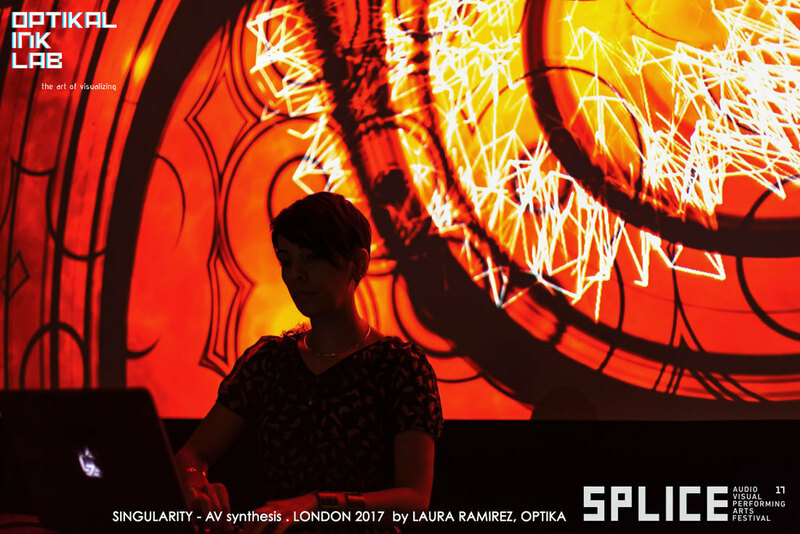 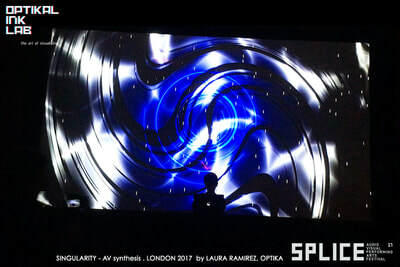 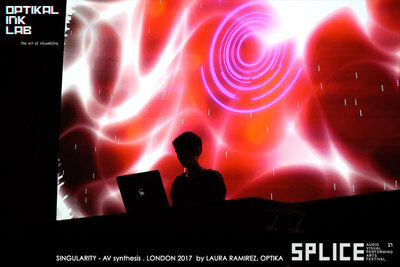 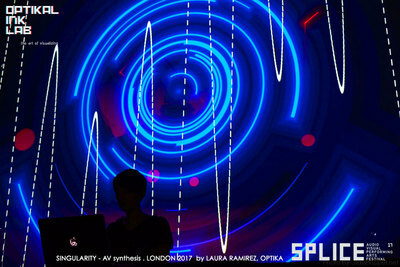 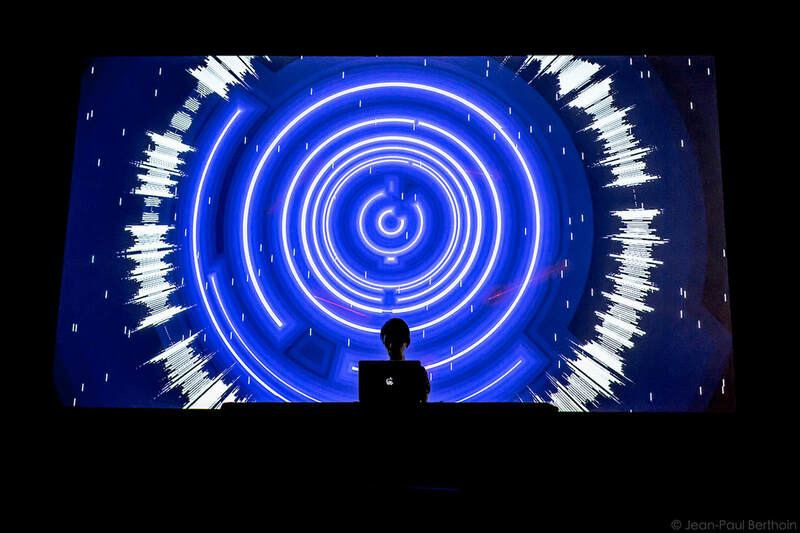 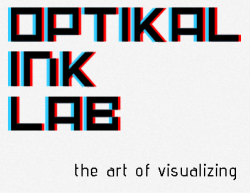 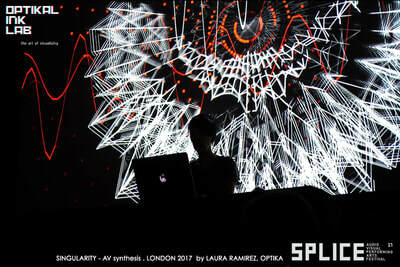 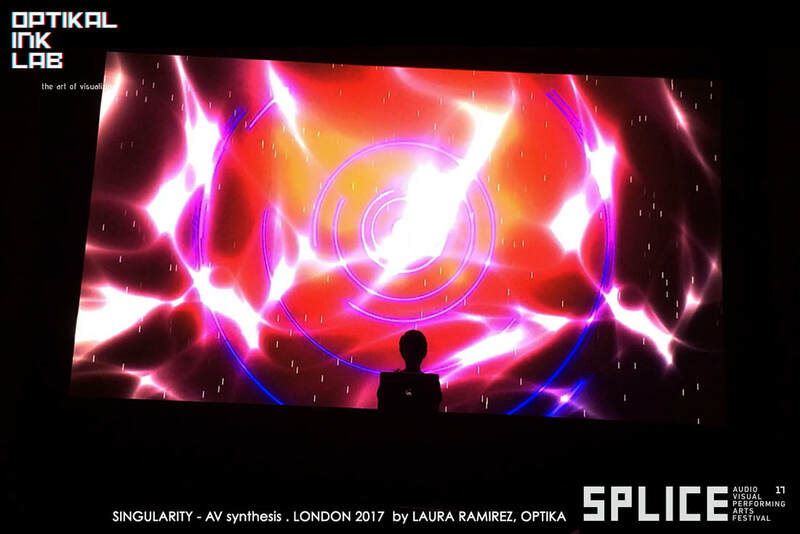 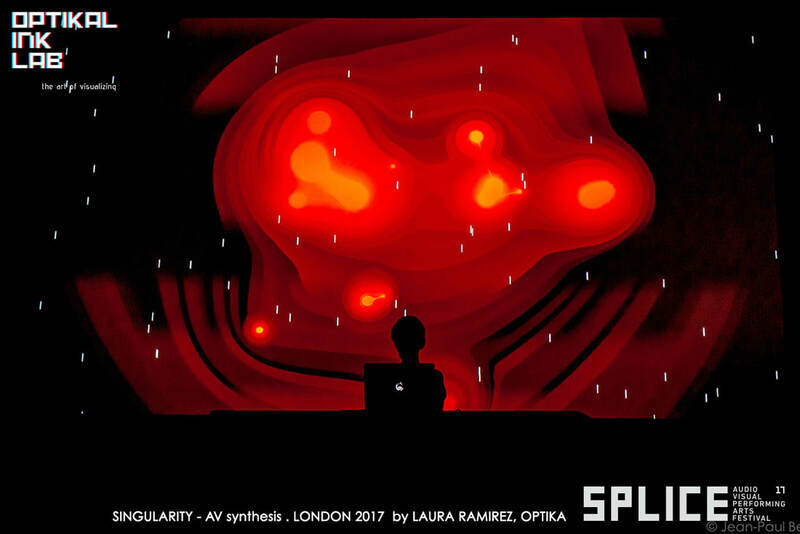 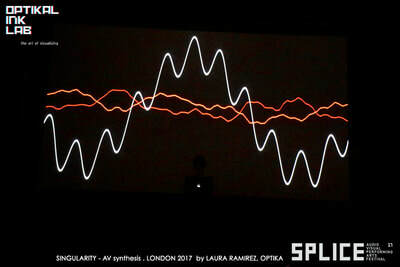 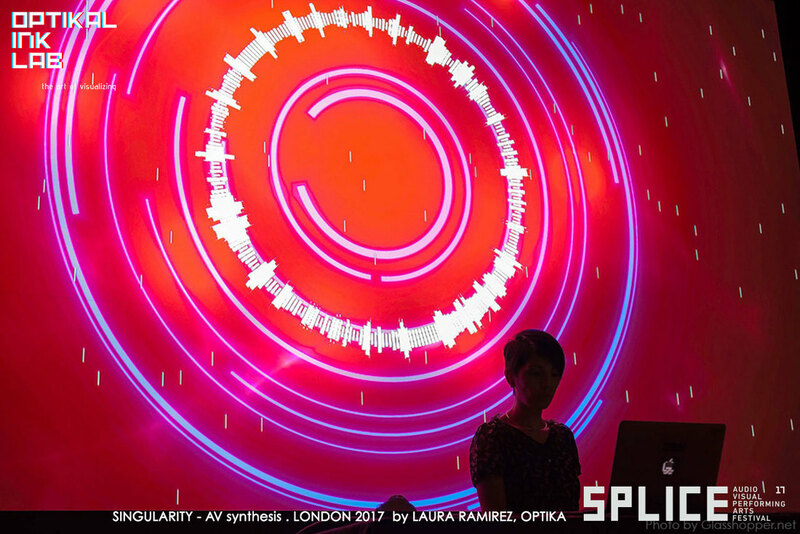 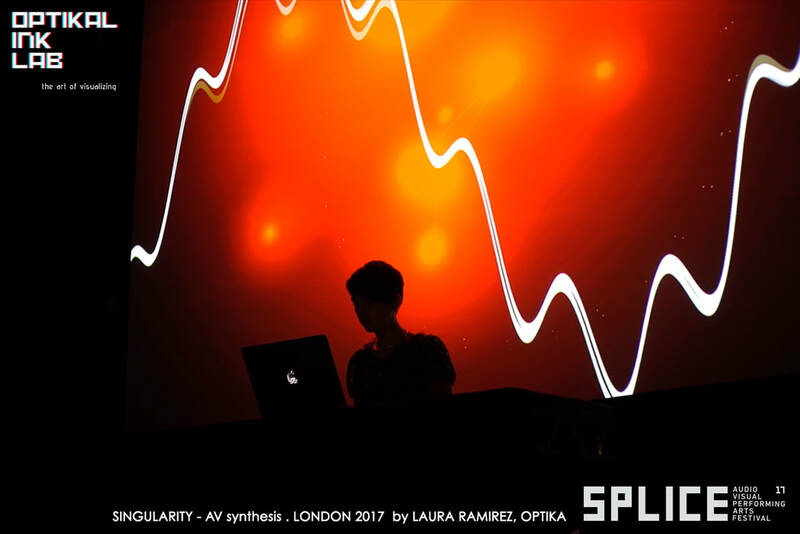 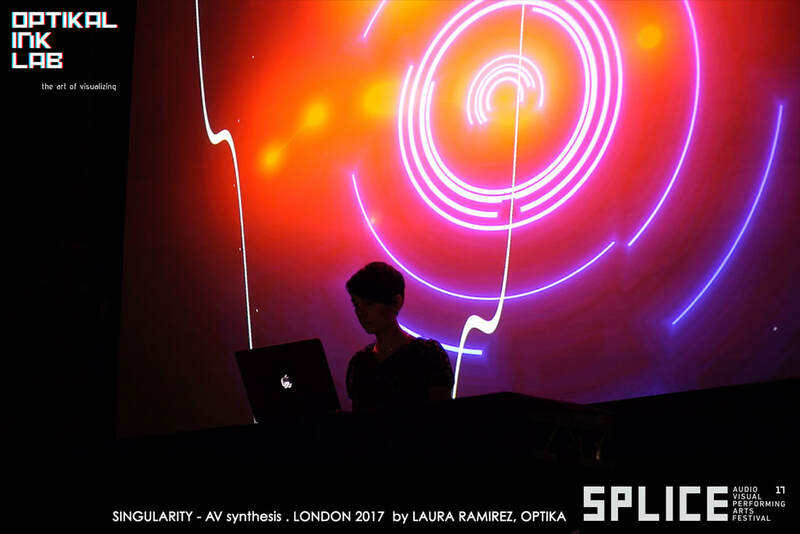 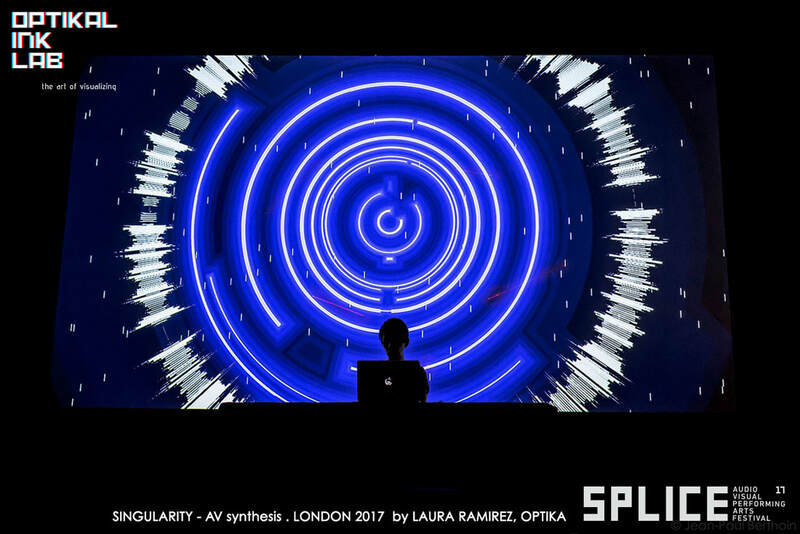 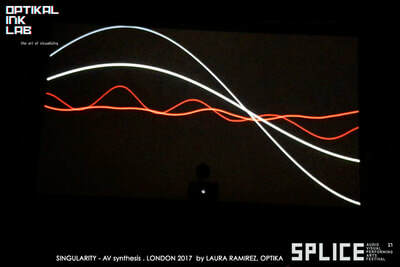 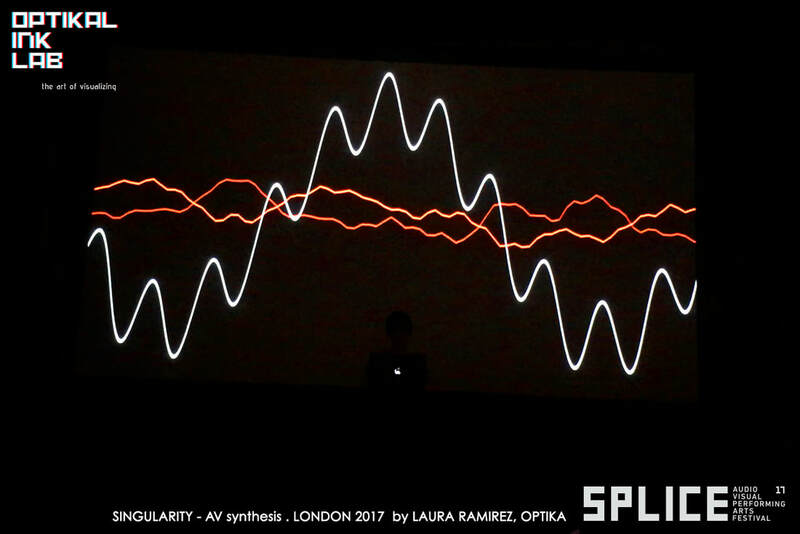 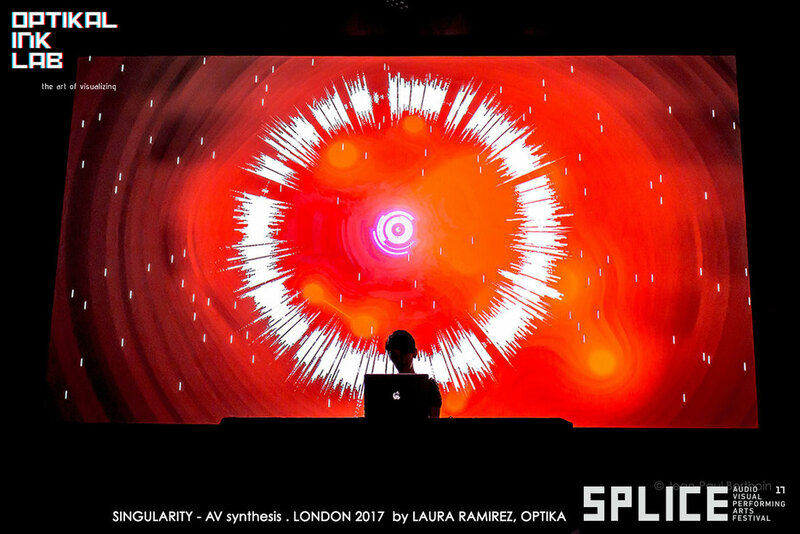 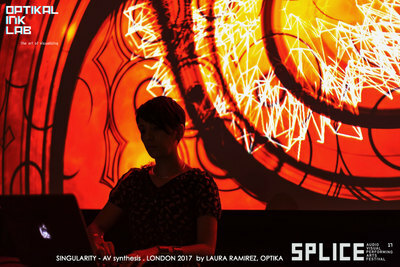 Singularity is live visual performance to be shown at auditoriums, urban spaces or fulldome. It is inspired by the concepts of gravitational singularity creating a synesthetic experience that communicates images with sound to create an immersive environment evoking the outer space and the cosmos sounds, an artistic vision of the space-time fabric and the behavior of the particles during its collapse-destruction-creation and cosmic reversion. 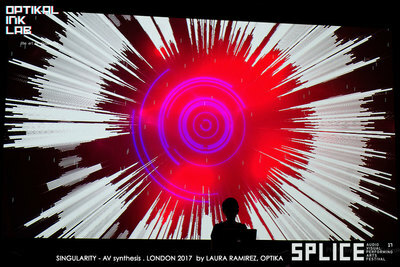 The gravitational singularity is an area of complex space not yet fully understood by the human being, Black holes and the description of the origin of the universe bring us closer to how a singularity could looks like however it’s complex and leads us to think about our existence in relation to the origin of everything and consequently to the end of the universe. 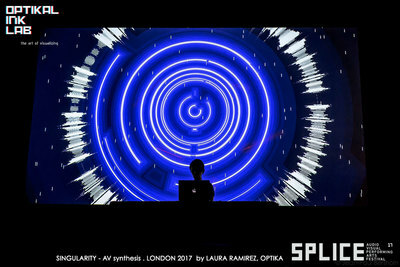 Big Crunch theory proposes that all that expanding matter that reaches the ends is being affected by the very gravity of the universe and upon reaching the limit of its expansion, gravity will cause the contraction of all the matter of the universe to the point where everything will begin to re-form that singularity, like a Big Bang in reverse.